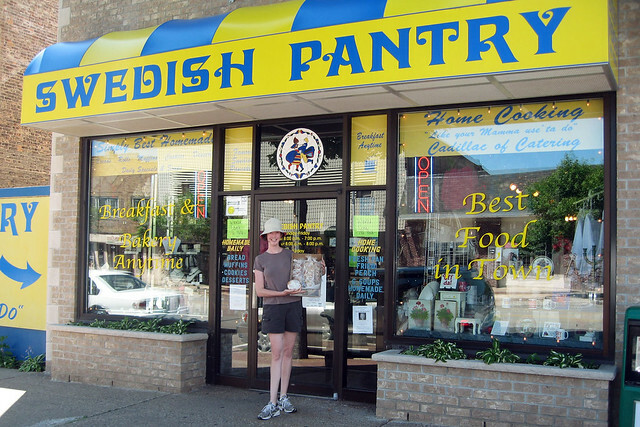 The Swedish Pantry Restaurant in Escanaba's downtown serves delicious home-cooked meals for breakfast, lunch and dinner. Swedish pancakes, homemade soups, sandwiches, freshly baked breads and muffins await you. Don't let our name fool you, we cook up some of the best American fare in the Midwest. Pot roast with real mashed potatoes are on our menu along side Swedish meatballs with rutabagas and Swedish fries. The cozy atmosphere combined with the aroma of fresh baked breads and homemade soups will warm you from the inside out. Gifts, charming musical clocks, collectable figurines and unique, artistic seasonal items adorn the walls and are available for purchase. We search all over the world to find gift items that are sure to be treasured for generations. The restaurant is decorated with items and gives our customers a taste of Sweden. Select a dollar value for the physical gift certificate.